This topic contains 0 replies, has 1 voice, and was last updated by ADDIE 10 months, 2 weeks ago. 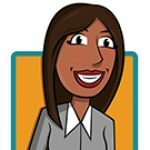 I am an instructional designer at a small community college, but I am experiencing a problem that will probably resonate with other instructional designers: the faculty with whom I work (mostly well) appear to have little understanding of what an instructional designer does and, as a result, limit the contributions that I can make to their online courses. For example, they reach out to me with their technical questions but are less likely to see my role in light of improving their courses. Do you have any suggestions that could help me clarify my role to faculty? You are not alone in feeling underutilized. Your experience resonates with many instructional designers (IDs) who are eager to contribute more to the pedagogical aspect of online courses. 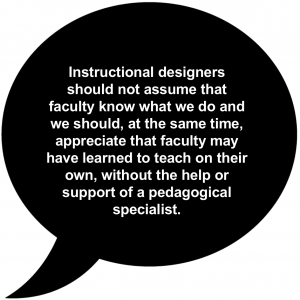 In fact, at least two studies – one by The Chronicle of Higher Education and the other by Intentional Futures – found that the most common obstacle reported by IDs is faculty members’ limited understanding of what instructional designers do. There are several reasons why faculty have a limited view of what IDs do and, most importantly, how working with an ID can enhance their online courses. One explanation is that instructional designers are still relative newcomers to the higher education landscape (around the time of WWII). And instructional designers’ presence in higher education has only become significant with the growth of online learning. Another explanation is that IDs wear many hats, including course developers, instructional technologists, multimedia specialists, and instructional consultants. The Instructional Design Symposium and the 2018 TOPkit Workshop feature helpful discussions that uncover the role of IDs varies across institutions. The role of an ID can be confusing even to IDs. How murky might it appear to other faculty members!? Other reasons include cognitive overload—faculty have so much going on that they simply haven’t given much attention to the services that IDs provide beyond online course triage! Too, faculty may not believe anyone can help them improve or enhance their online courses because no one else knows their fields as well as they do. If faculty don’t understand what IDs can do, we lose collaborative opportunities. I believe the IDs have a great responsibility to better educate faculty about the ID role. 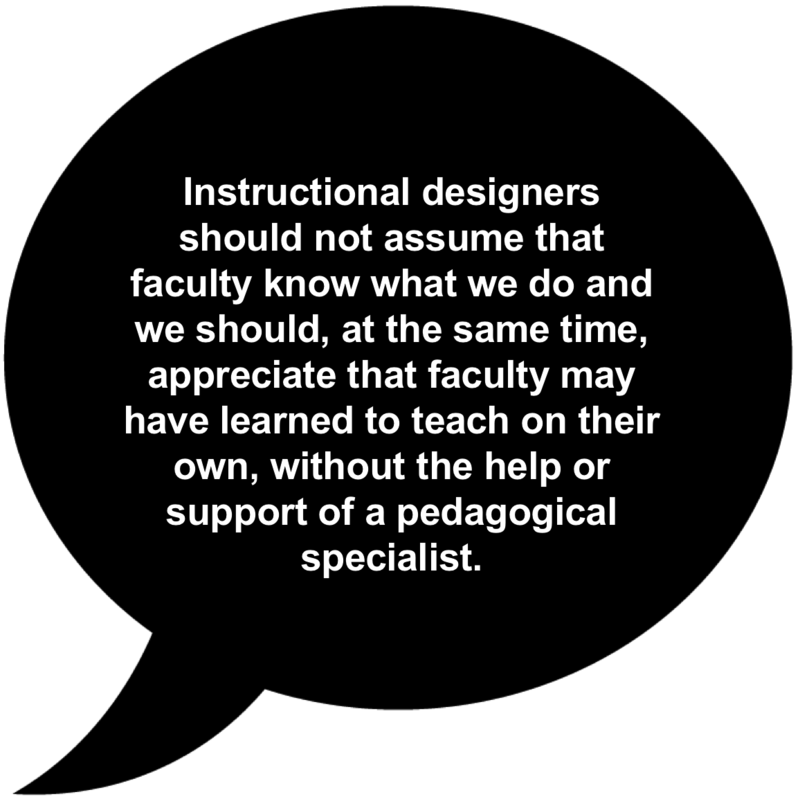 Instructional designers should not assume that faculty know what we do and we should, at the same time, appreciate that faculty may have learned to teach on their own, without the help or support of a pedagogical specialist. Faculty may also be concerned that IDs will judge their course materials, course design, or teaching methods. So, we should clarify our role in as many contexts as possible—earning their trust as well a offering our services and support. We can also publicize our role and services, using websites, digital newsletters, and social media. We can also communicate through face-to-face interactions, including casual conversations and participating in campus committees. How do you convey the role of the ID to your faculty? Let’s share ideas and hope that our expertise is more valued and better utilized by our beloved faculty!